¤ article_page | Ismaili.NET - Heritage F.I.E.L.D. the ginans is 13 couplets is translated and commented line by line and on its concepts. The ginan is in Hindi that incorporates many Persian words and some Arabic ones. Download link for the PDF file is given here below. This is an attempt by the author in 1954 to explain how Ismaili Dawa started in India. Very early during the Fatimids, Ismaili Dawa had reached all parts of India. Balouchistan was Ismaili. In Hind and Sind, there was also strong Ismaili Influence as well as in Multan. The Sumra Dynasty reign lasted 350 years. Sumras were practising Fatimid Ismailism. They helped later in the Dawa carried by Pir Satgur Nur and Pir Sadardin. Overall, an extremely important work, though only few pages, a must read. Qadi Numan is a prolific author and Jurist credited with 45+ works. Qadi Nu'man served under 4 Fatimid Caliphs. His Biography and work is presented in this early article by Asaf Ali Ashgar Fyzee, the expert in the field of study of Qadi Numan's work. The PDF file of the article is available for download in the link below. This is a PDF scan of the Article from the Journal of the Royal Asiatic Society ( JRAS) written by Stern. You can download the document from the link below. Jamatkhana is a place of worship, inspiration, progress, peace, & protection. The Nikkah Khutbah starts with the following. Please see the attached PDF for the full text. Voting is now open for the 2008 recipient of the prestigious Chatham House Prize. The now annual contest began in 2005 when the Royal Institute of International Affairs presented Ukraine's President Victor Yushchenko with the award for his demonstrated "political courage and skill" in "steering a peaceful process of political change in Ukraine." "L'Imam ne disparaît jamais... L'Imam doit être présent dans ce monde pour guider Ses fidèles en tout temps, pour leur bien, pour les mener au Droit Chemin et pour le maintien de l'Imâmat." In The Qur'ân and Philosophical Reflections, p. 77-96. Jakarta: Indonesian Academic Society XXI, 1998. Le but de cette étude est de montrer et d'essayer de résoudre certaines contradictions apparentes qui paraissent lors de l'analyse de la lignée de l'Imâmat. 1. 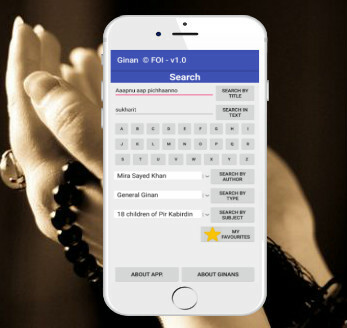 Whether the offerings and presents received by the first Aga Khan and each of his ancestors since A.D. 1770 and earlier from the Khojas in Bombay and elsewhere and also from Ismaili Shias or the investments now representing the same form part of the entire estate of the first Aga Khan's own family as alleged in para 2 of the plaint? Whether it was fraudulent I proceed to discuss.